The finishing hole is a gradual incline from tee to green. 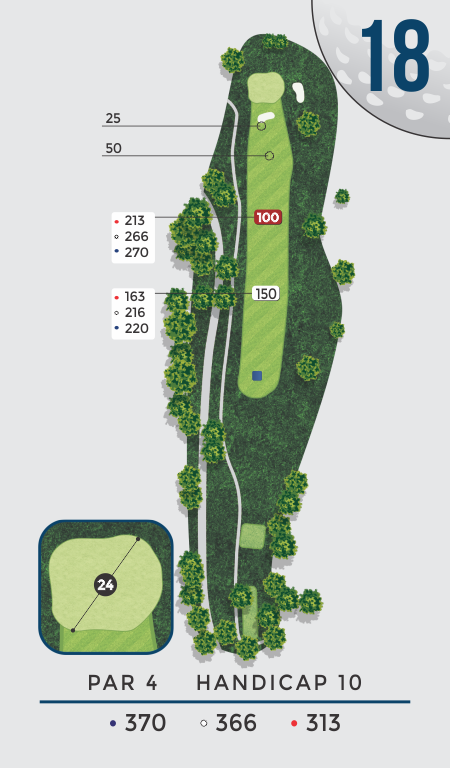 A roadway may come into play all along the left side, but a well-placed tee in the center of the fairway offers the best view at the pin placement. The green is protected by bunkers in front and to the right.